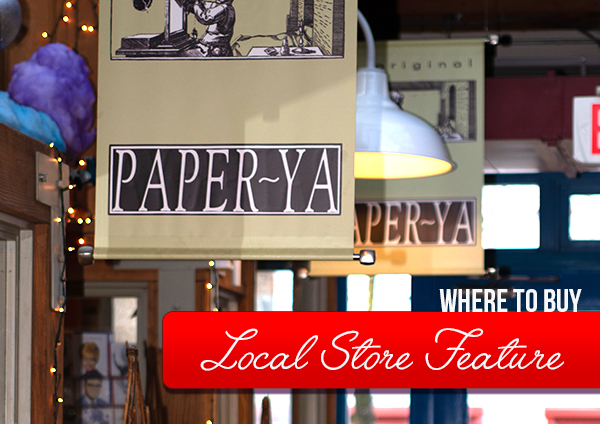 The Original Paper-Ya is a warm and welcoming stationery store in the heart of Granville Island in Vancouver BC. The location is a buzzing tourist destination which houses all kinds of artisanal workshops with storefronts attached for the world to experience their crafts. Writing and calligraphy have transformed into an art form which provides a great escape from the fast pace of this technology-filled world. Paper-Ya reflects this and the culture of Granville Island extremely well by providing items that cater to both the artisans and the general public. If you are an expert or just starting out Paper-Ya is an excellent place to go get expert advice and great products. Paper-Ya was originally started by two artists back in 1986. We see more than 100,000 people pass through our doors each year and import products from over 15 countries. Paper-Ya helped pioneer the celebration of paper in all its amazing forms. “Ya” means store in Japanese and we like the positive sounding vibe of that, thus… Paper-Ya! As our world changes, we continue to celebrate the new, the fresh, and the creative, and not just in paper. People come to our store from all over the world. We are very fortunate to be on Granville Island at the heart of our beautiful city, Vancouver. 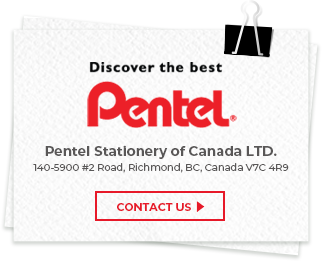 Some of our favourite Pentel products to recommend are the Brush Sign Pens and the Dual Metallics. They both have amazing features for people doing calligraphy and other various art forms. Follow Paper-Ya on their social media platforms to get updates on their special events and more!